Elite Dangerous Exploration Diary: And What a Wondrous Galaxy this is! And What a Wondrous Galaxy this is! 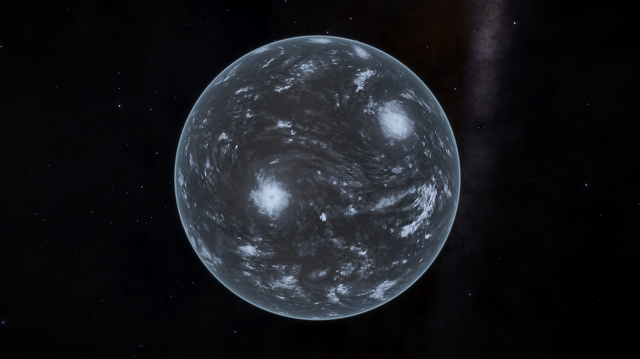 So, much further this time and each system is pretty much undiscovered; which is kinda to be expected at this distance from SOL. When I started out I began to wonder if I had seen it all before and worried a little about what screen shots I could show that hadn't really been seen before. Needless to say, I need not have worried. But first off, let me show you some of the analysis of the trip so far, which is one of the great things about using a spread sheet. For some analysis on suns, by which I mean the sun you first land at after a jump, here are a few types with their counts. Not all sun classes are listed but these are the ones with the major counts. 1.04% of systems have so far contained Earth Like Worlds. 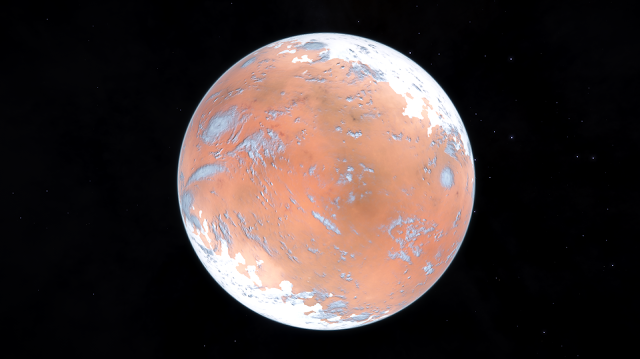 15.01% of systems have so far contained Terraform-able Worlds. You must remember though that my trip has pretty much been a straight path, (well as straight as the map allows) from my starting point to where I am at the current system. So the sampling could be said to be random, as no star field has been surveyed using a regular method. This is why the analysis so far should be taken with a pinch of salt. It is just some interesting facts gleaned from my spread sheet of my trip so far. 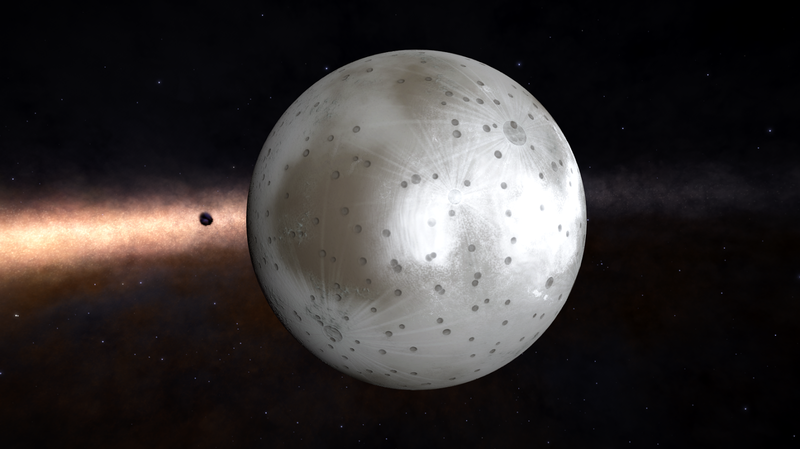 When finding a system which say has a sun with some bodies 200k Ls from the major sun that I want to survey, I will set the general direction, and then play with the spread sheet. 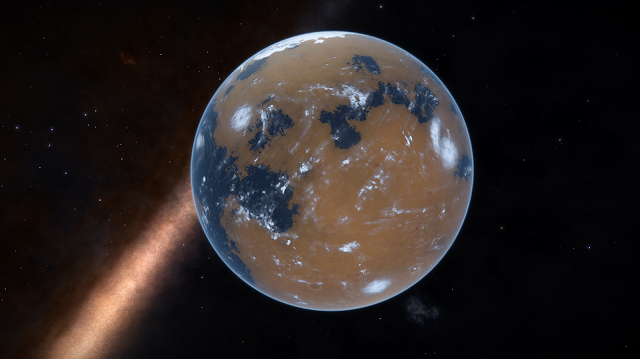 So going all that distance, is not really so much of a waste of time, but when you find a couple of Terraform-able worlds surrounding that distant sun, the wait and effort is well worth it. 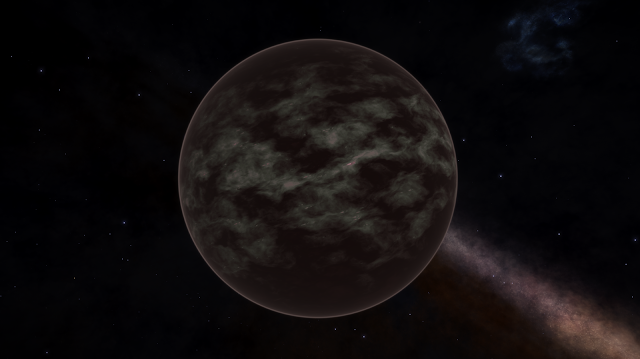 This amazing gas giant, shown above, was a basic gas giant according to the description. 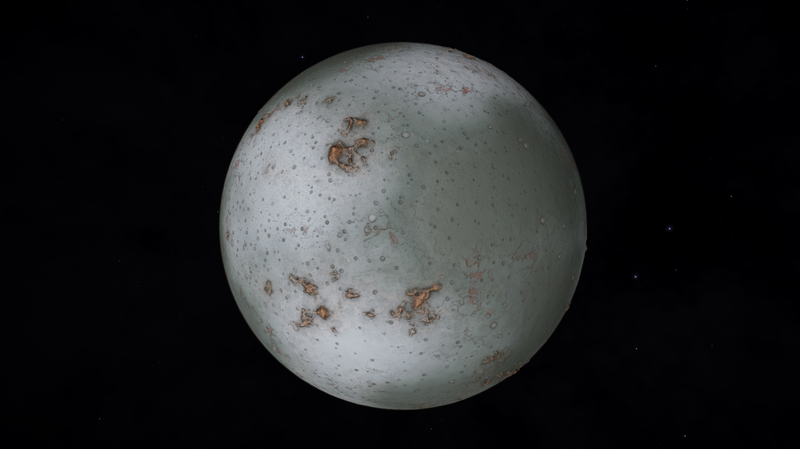 Helium/Hydrogen atmosphere, a surface temperature of 715K, and a radius of 71,090Km or 2,487 earth masses. 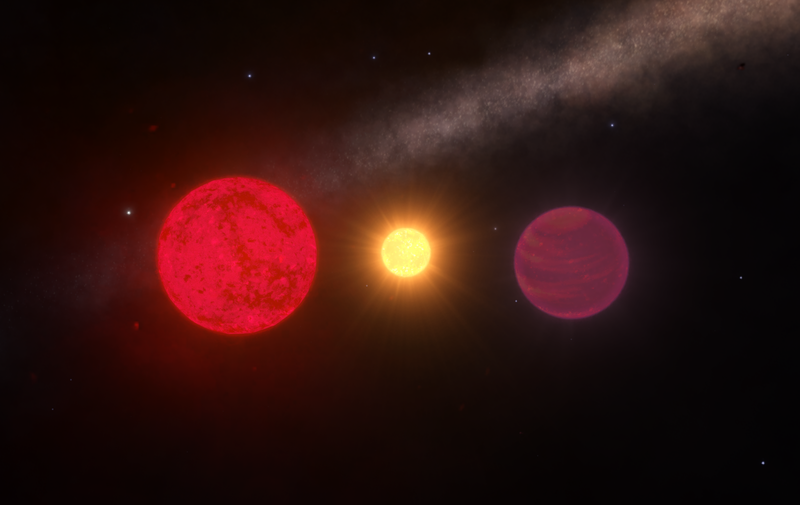 The sun that it was orbiting was a bright class F and the gas giant was only 1,794 Ls away from it. So should this giant have been displayed as blue, or the colours that you see? 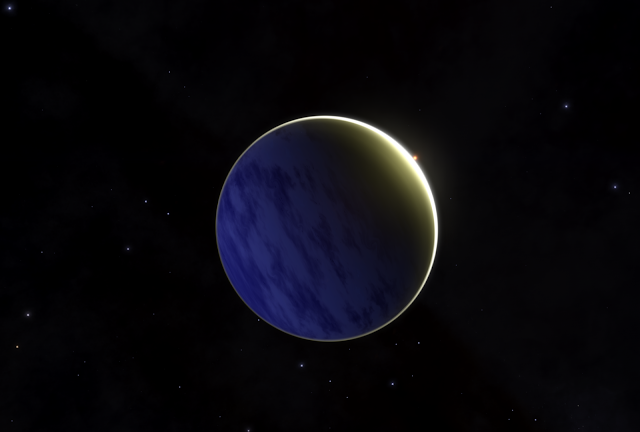 I love these colours and this is perhaps the best gas giant I have ever come across. The image below is a part of a High Resolution shot zoomed in so that the storm can just about be picked out. Again, some interesting colours inside there, which makes you wonder how bad the storm is, with white and red colours. 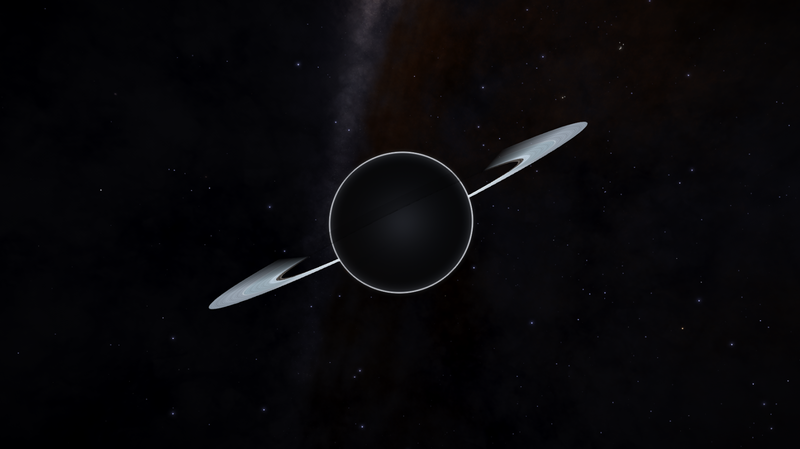 Below is another gas giant, of which I would call "normal", if there is a normal out there! The sunrise does highlight the atmosphere rather nicely, and makes a great screen shot. 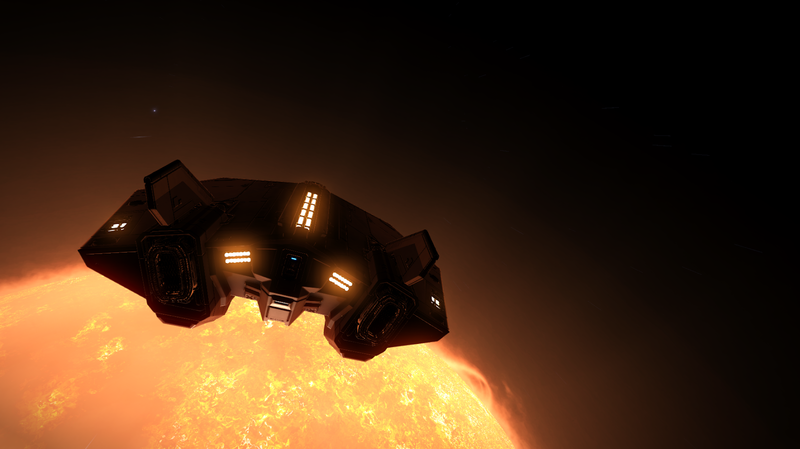 Sunrise over a gas giant while being backlit from another sun. Total eclipse showing the atmosphere and almost the sun through the centre of this gas giant. 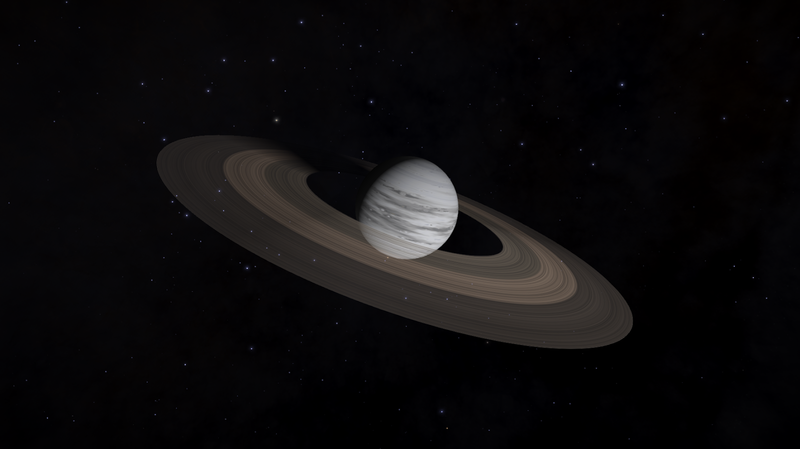 Another wonderful gas giant with interestingly spaced rings. 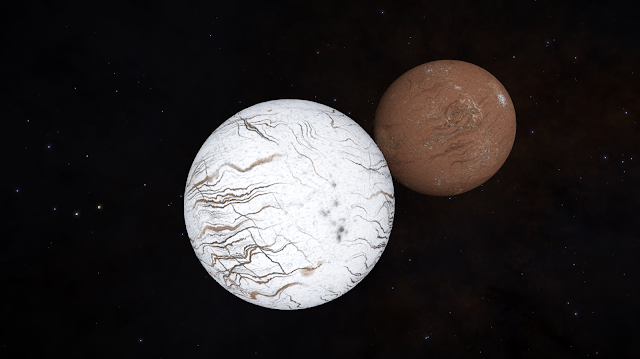 Nothing but pristine rocky rings here. Nice to see rocks instead of ice. 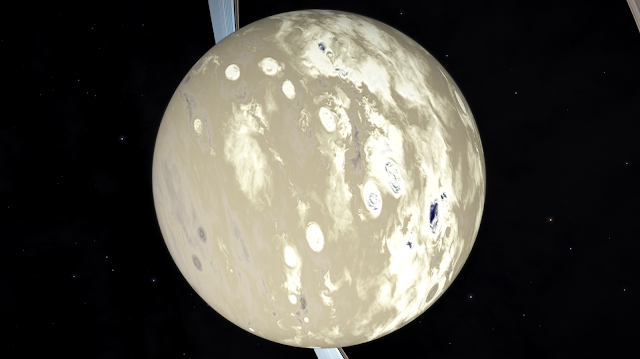 Yet another gas giant with some beautiful storm systems. 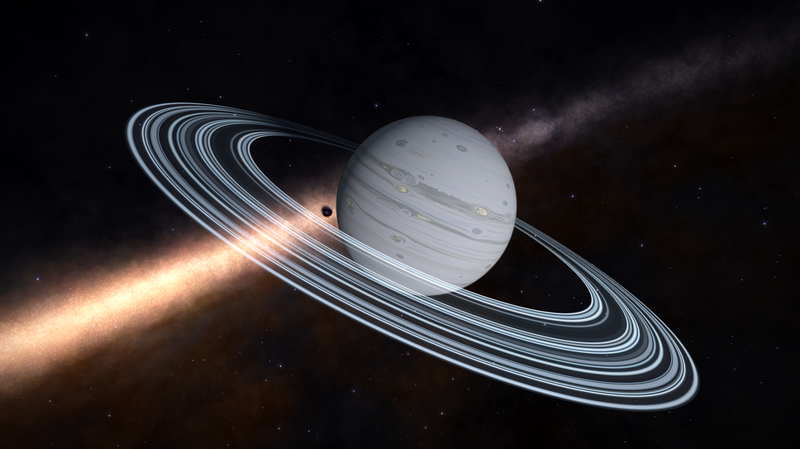 There are some amazing gas giants out there. Not all are similar, (although many of them are), and sometimes you can find some real gems. 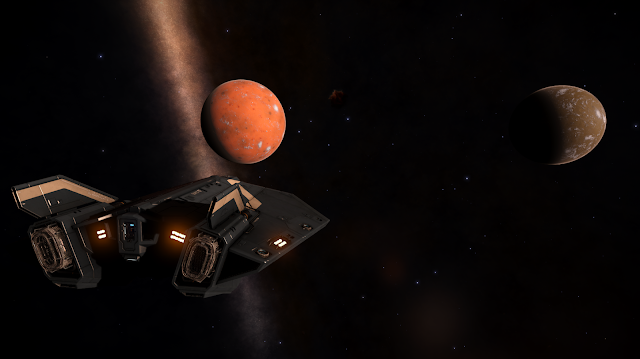 If a system contains any gas giants at all, I will always stop by and have a look. 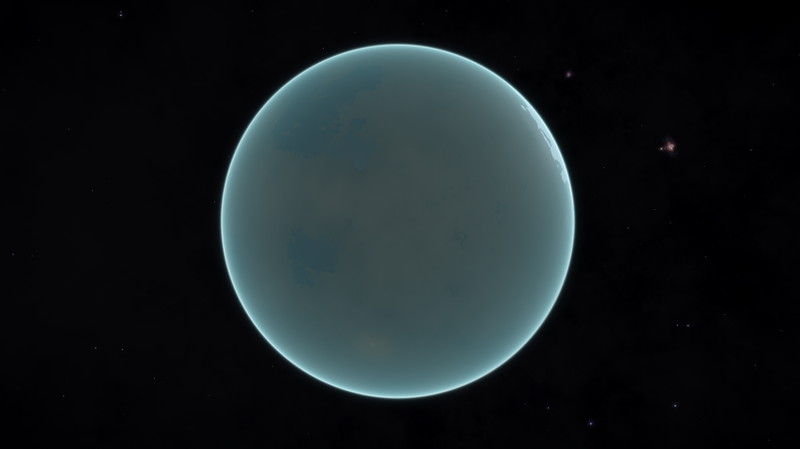 One must never forget that a Class II Gas Giant will give you a little more cash than the other ones. 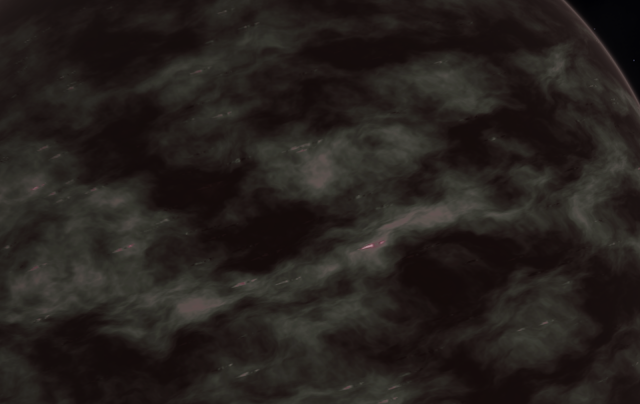 Onto the bodies now, either moons or just bodies orbiting a sun. I may have posted similar in the past, but these are the real gems in the galaxy. An unusual shot from me, as this one is a selfie! Another body with an interesting colour scheme. 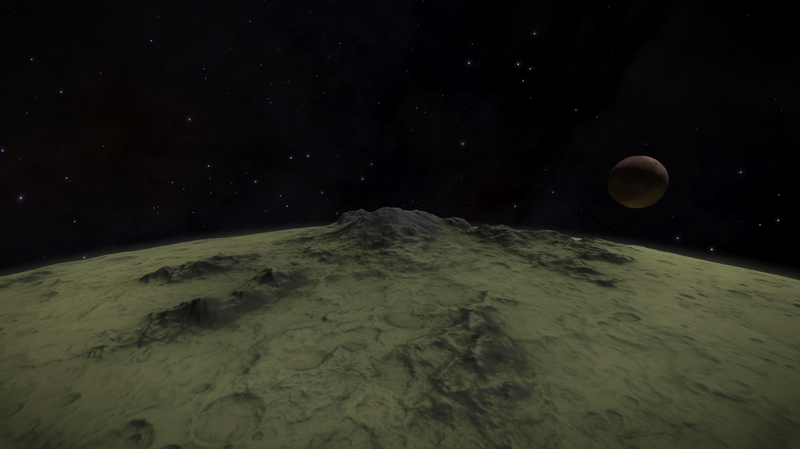 Not quite earth like, but one which really does need landing on in the future. A water world, but does have what appears to be land masses, or could they be plumes of bacteria? Is this right? The ice pack surely would melt if constantly facing the sun? 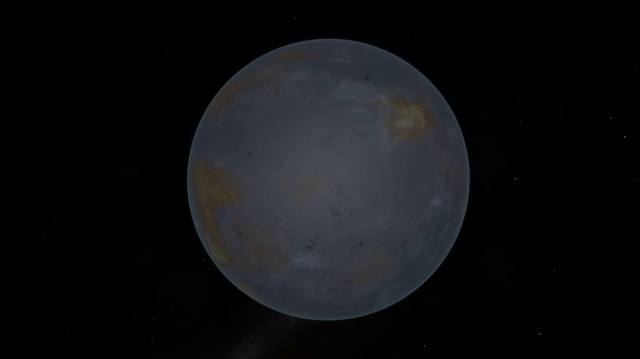 Another water world, but with a very thick atmosphere. Another impressive mountain range on a small greenish body. It is great to see such detail when 2 bodies are so close to each other, and then so different! Very distinct cratering - many of them quite deep. 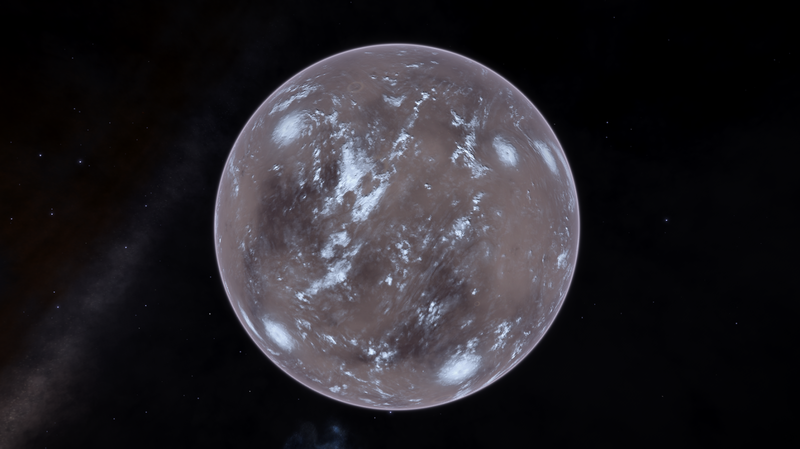 Great weather system, including 2 storms on this high metallic content world. 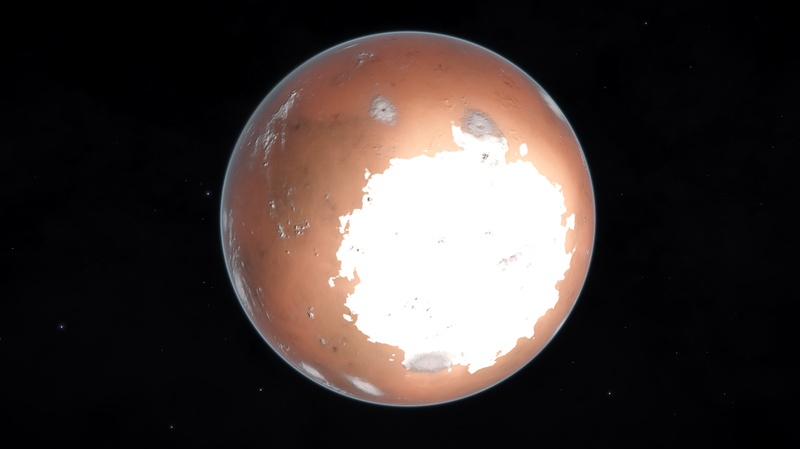 Fuel scooping - after each and every jump!